The amount of systems and devices, working on solar energy, increases every day. Space engineering and aviation are the domain spheres where the solar batteries are applied; however, green solar energy is widely used in everyday life as well. Solar panels are installed on electric vehicles, portable devices, and household appliances. They can be also mounted on the roofs of domestic and industrial buildings as a back-up or primary power source. The technology hasn’t left out street lighting either. So far, almost every developed city boasts street lights with built-in solar panels. And this is not particularly surprising because these lights have many advantages. Firstly, they are independent of an electrical grid, therefore being economically viable. Secondly, they can be installed in hard-to-reach places, and access to daylight is the only condition required. Finally, these lights are devoid of bulky cables, which is a primary reason why they look elegant and stylish. 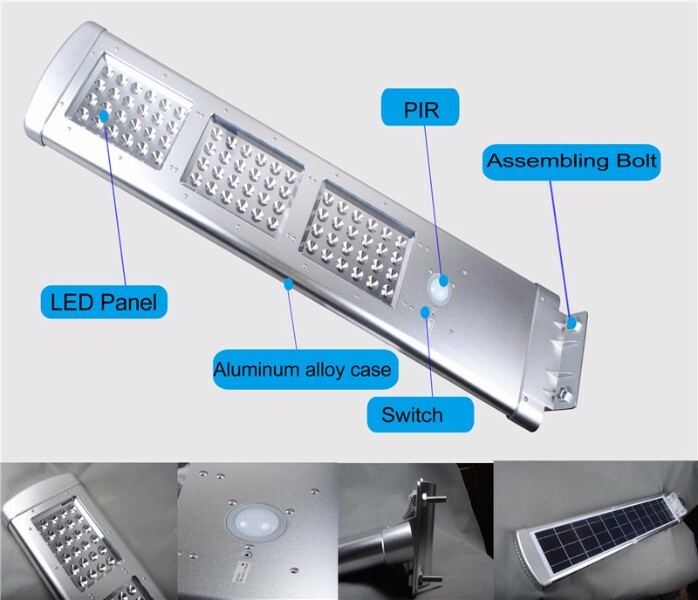 Usually, the solar street lights are equipped with LED elements that are durable and energy-efficient. The service life of LED chips is approximately 100,000 hours, so when being used for 8-10 hours at night, the total lifespan of a solar street light can reach up to 27 years. The street lights with solar panels are available in different designs and dimensions. Because of this, they can be placed virtually anywhere: parks, sidewalks, yards, etc. The use of LED elements as a source of light allows for choosing the right color temperature and transforming the street light into a decorative item, matching the tone of the surroundings. Street lights with built-in solar panels are operationally safe and don’t need specific maintenance. The dustproof and waterproof body makes the street light resistant to severe weather conditions. The solar street lights are definitely a good investment; they are autonomous, eco-friendly, and feature a quick payback period, saving a great amount of money.